3/6/12 -- GEORGETOWN, Maine. 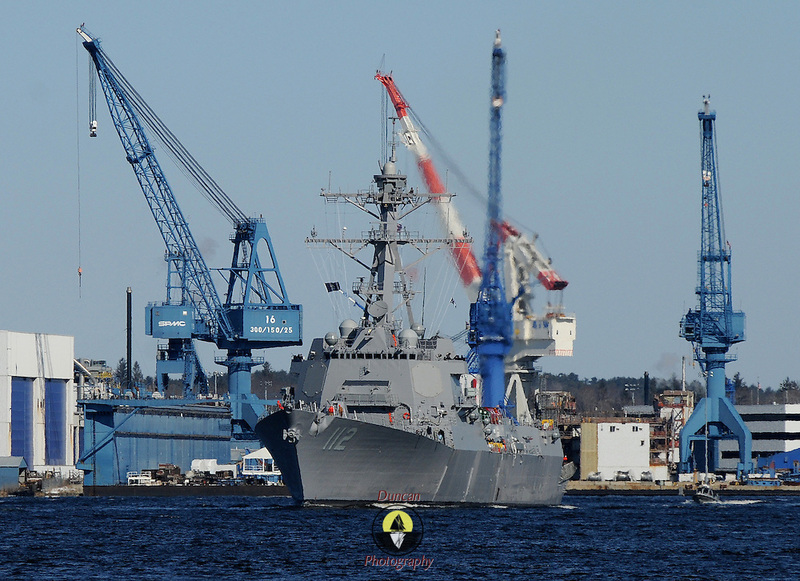 U.S. Navy Destroyer Michael Murphy, built by Bath Iron Works passes by Doubling Point in Georgetown on Tuesday morning on the way out to sea trials. She is scheduled to be return on Friday morning at the top of the tide, about 11:00 a.m. Photo by Roger S. Duncan. Photo © 2012 by Roger S. Duncan.